You've heard that investing in sector funds can be a smart thing to do but how does one go about choosing the best sector funds for their own portfolio? Why should investors use sector funds and when is the best time to invest in them? Sector funds are not for every investor and there is definitely a right way and a wrong way to go about using them. So before buying into one or more of the various industrial sectors, it's a good idea to educate yourself on what they are and how they work. A sector fund is a mutual fund or an exchange-traded fund (ETF) that invests most or all of its assets in one particular industrial sector. A list of sectors will usually include technology, financial, consumer cyclical, consumer staples, utilities, energy, natural resources, healthcare, real estate, and precious metals. Technology: This sector will invest in stocks of companies that produce technology products or offer technology-based services. Examples would include a software manufacturer like Microsoft (MSFT), an online retailer like Amazon (AMZN), a social media site like Facebook (FB), a firm like Alphabet (GOOG, GOOGL), parent company of Google, which produces multiple products and services within the technology industry. Financial: Sector funds will hold stocks of companies like Bank of America (BAC), Charles Schwab (SCHW), and Wells Fargo (WFC). But financial stocks can include more than just banks and brokerage firms — financials also include insurance companies, mutual fund companies, and financial planning firms. Consumer Cyclical: When you think of consumer cyclical stocks, think of companies like Disney (DIS), McDonald's (MCD), and Starbucks (SBUX). These are companies that sell things that people don't need for daily living. Therefore consumer cyclical stocks also called consumer discretionary or leisure will tend to do better when the economy is strong and consumers are in a spending mood. Consumer Staples: Nearly opposite of consumer cyclicals, companies in the consumer staples sector typically provide products and services that are needed for everyday living. Some examples of consumer staples companies include Wal-Mart (WMT), CVS (CVS), and Procter & Gamble (PG). Consumer staples can also include companies that sell things that consumers don't really need but will continue to buy, even if the economy slows. Examples include Coca-Cola (KO) and Philip Morris (PM). Utilities: When you think of utilities, think of companies that provide gas, electric, and telephone products and services. Stocks in the utilities sector include Duke Energy (DUK) and Southern Company (SO). Like consumer staples, utilities will include products or services that consumers still use when times get tough. Therefore sector funds that invest in utilities can perform better than growth-type sectors, such as technology, when a recession hits. For this reason, utilities are one of the primary defensive sectors. Energy: The energy sector consists of all the industries involved in producing and distributing energy, including oil companies, electric companies, wind and solar power, and the coal industry. Investors wanting concentrated exposure to big name energy stocks, such as Exxon-Mobil (XOM) and Chevron Corp (CVX) can buy an energy sector mutual fund or ETF. Natural Resources: Sector funds focused on natural resources will typically invest in the commodity-based industries such as energy, chemicals, minerals, and forest products in the U.S. or outside of the U.S. Therefore shareholders of these sector funds will get exposure to energy stocks like XOM and CVX but also stocks like Newmont Mining Corp (NEM). Health Care: Also known as health or specialty-health, this sector focuses on the healthcare industry, which can include hospital conglomerates, institutional services, insurance companies, drug manufacturers, biomedical companies, or medical instrument makers. Examples include Pfizer (PFE), United-Healthcare (UNH), and HCA Holdings, Inc (HCA). Health sector funds also often hold biotechnology stocks like Gilead Sciences (GILD) or Biogen (BIIB). Healthcare stocks are considered defensive holdings because they tend to hold up better than the broader market during downturns. This is because consumers still need medications and healthcare during recessions. Real Estate: The real estate sector funds typically concentrate their holdings in real estate investment trusts, or REITs, which are entities that represent a collection of investors that pool their money together to purchase income-producing properties, such as office buildings and hotels. REITs are legally required to pay out at least 90 percent of their income to shareholders and this makes real estate sector funds attractive to investors looking for income-producing investments. Some top holdings in a real estate sector fund might include Simon Property Group (SPG) and Public Storage (PSA). Precious Metals: This category of mutual funds would be better classified as commodities funds because precious metals aren't really considered an industrial sector. But still, precious metals deserves a mention with sector funds because of its nature as an investment that concentrates its holdings into a specialized portion of capital markets. Precious metals mutual funds don't invest directly into precious metals like gold and silver but rather indirectly through precious metals miners like Agnico Eagle Mines (AEM) and Newmont Mining Corp (NEM). Now that you know how sector funds work, you're wise to learn how to choose the best sector funds for you and your investment strategy. Sector funds work well as diversification tools and as a possible means of increasing portfolio returns. In translation, this means that sector funds can reduce the risk for the overall portfolio while potentially maximizing returns in the long term. 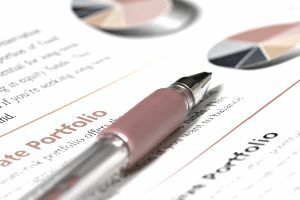 A wise portfolio structure for implementing a sector funds strategy is the core and satellite portfolio structure, which is just as it sounds: You begin with a core holding, which represents the largest portion of your portfolio and then add satellite funds, which receive smaller allocation percentages. For example, a good core holding is one of the best S&P 500 Index funds, which might receive an allocation of roughly 30 or 40 percent. The satellite holdings can be small-cap funds, international stock funds, and sector funds. When you add sector funds to the portfolio, you may want to choose a few sectors for long-term investing, a few sectors for short-term investments, or a combination of both. For example, some investors believe that technology and health are two sectors that can outperform the broader market in the coming decades. Those same investors, then, may choose to add technology sector funds and health sector funds to their portfolio. An example of short-term investing with sector funds is when an investor shifts some portfolio assets to defensive sectors in anticipation of a recession and bear market. Defensive sectors include utilities, healthcare, and consumer staples. While there is no perfect allocation to assign each sector fund in your portfolio, a good percentage maximum to keep in mind is 5 percent. This may sound like a small allocation but it is sufficient to add diversity to a portfolio while boosting returns. Therefore, if you decide to add three sector funds to your portfolio, each may receive a 5 percent allocation for a total sector allocation of 15 percent. Investing larger amounts in sector funds can add risk to your portfolio. For example, biotechnology stocks, a sub-sector of health, have seen incredible short-term gains but also some large declines. If an investor bought too much of a biotech sector fund just before a big decline, it could do significant damage to the portfolio. Also keep in mind that other mutual funds, such as your core holding, will likely provide exposure to most or all industrial sectors. Therefore, if you bought a sector fund and it represented 5 percent of your portfolio assets, your overall exposure to that sector could be much higher than 5 percent because of the other funds.